The most thoroughly handcrafted instruments in the world, Steinway pianos are as unique and full of personality as the world-class musicians who play them. However, their makers are a dying breed: skilled cabinetmakers, gifted tuners, thorough hand-crafters. Note By Note is a feature-length independent documentary that follows the creation of a Steinway concert grand, #L1037— from forest floor to concert hall. It explores the relationship between musician and instrument, chronicles the manufacturing process, and illustrates what makes each Steinway unique in this age of mass production. 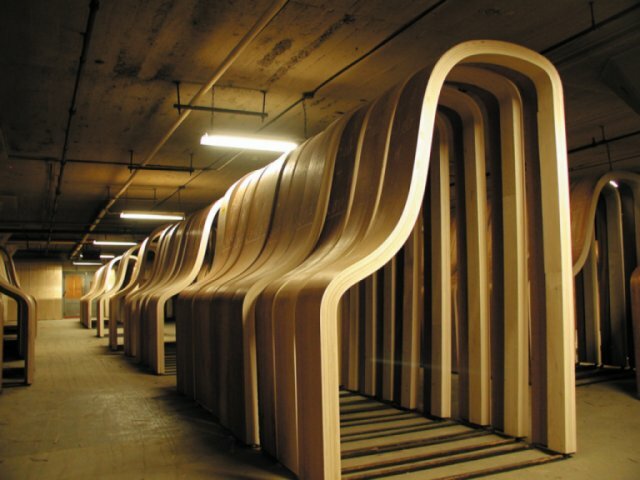 From the factory floor in Queens to Steinway Hall in Manhattan, each piano’s journey is complex—spanning 12 months, 12,000 parts, 450 craftsmen, and countless hours of fine-tuned labor. Filmed in key Steinway locations—the factory, Steinway’s reserved “Bank,” and private auditions—Note By Note is a loving celebration of not just craftsmanship, but of a dying breed of person who is deeply connected to working by hand. In the end, this is an ode to the most unexpected, and perhaps ironic, of unsung heroes. It reminds us how extraordinary the dialogue can be between an artist and an instrument—crafted out of human hands but borne of the materials of nature.